With the 1950s so on trend for summer, I couldn't help but think of another stylish star of the era to inspire us--Loretta Young. Though not as known to fashionistas as someone like Grace Kelly or Marilyn Monroe, it is definitely worth having her on your radar. 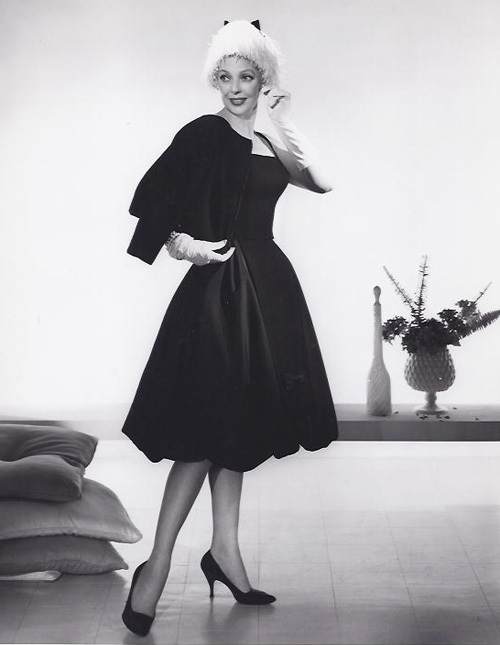 After all, this is a woman who cared deeply about fashion...using the opportunity of being an actress to model the most current of glamorous style from the 1920s to the 1960s. 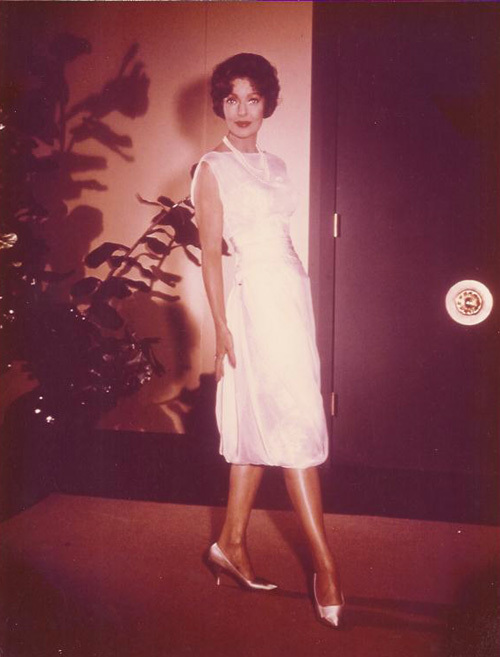 And what a model...Loretta was notable for her perfect bone structure, perfect petite (yet hourglass) figure, and a reserved elegance that made an impression far beyond any of her performances. Celebrations are currently being planned as we approach Loretta's Centennial, so I wanted to share how relevant her style still is. Loretta started her career in 1917's silent The Primrose Ring...at the ripe old age of 3. Though her other beautiful sisters caught the acting bug as well, it was Loretta who would be the most successful by far. She would work steadily until 1953...doing as many as 8 pictures a year at her peak. One of my favorites is 1931's Platinum Blonde, a fun film directed by Frank Capra. Loretta plays the best friend of an ace reporter who secretly loves him, even after he elopes with society girl Jean Harlow. But most people know Loretta from 1947's perennial favorite The Bishop's Wife with Cary Grant and the Oscar she won that same year for The Farmer's Daughter. 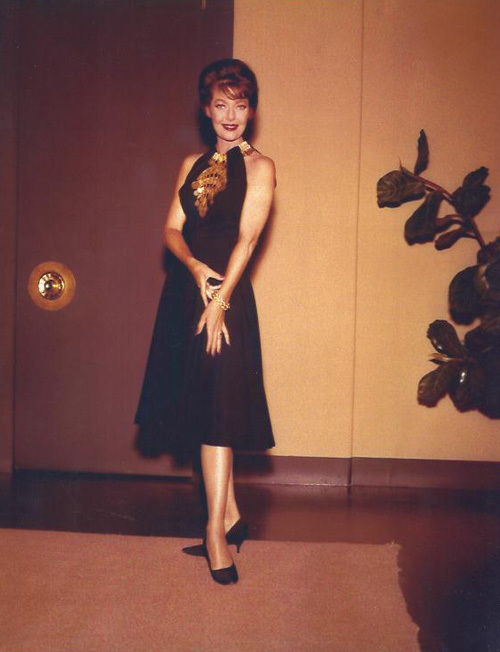 In 1953, she left the movies and entered into the relatively new medium of television. Not only was it new, but it was unheard of to have a woman at the helm and host of a show. 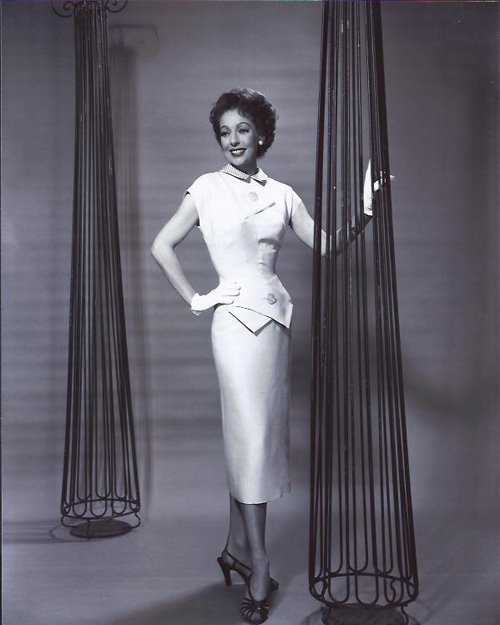 Yet The Loretta Young Show was extremely successful and the series would win 3 Emmys during its run. Interestingly, what people really remember was the show's trademark--Loretta's twirl--her dramatic entrance in designer gowns. She was so glamorous in the movies that she wanted the television experience to be no less spectacular. 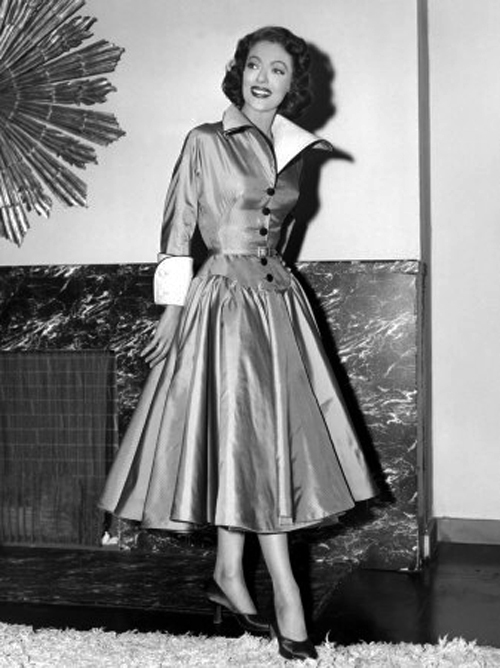 So she brought famed costume designers of the big screen--like William Travilla and Jean Louis--to the small screen. 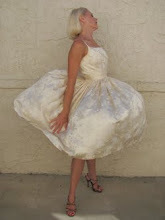 And when one designer expressed disappointment that viewers were unable to see the back of a certain dress in the introduction, Loretta invented the twirl. Before every show, she would turn all the way around while taking the stage so the audience could appreciate the art of great costume design and style. 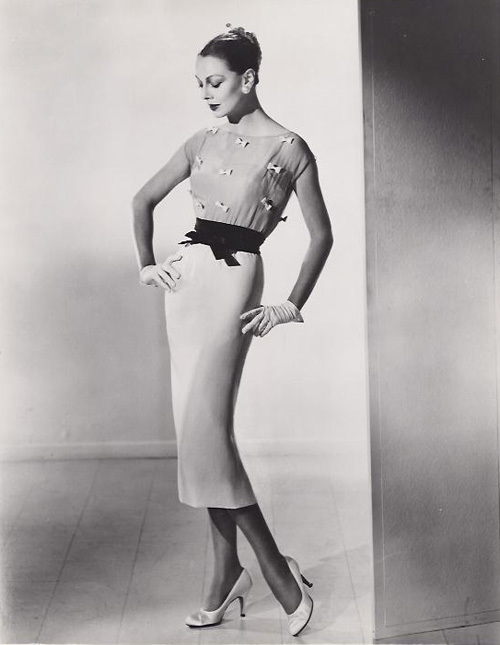 One of the silhouettes Loretta is most known for is similar to Dior's New Look--the fitted bodice, nipped in waist, and full skirt that floated past the knees. And like Grace Kelly, she loved ladylike gloves as an accessory. But you'll also see other shapes she favored in the pictures below, including those that were very modern and sleek. 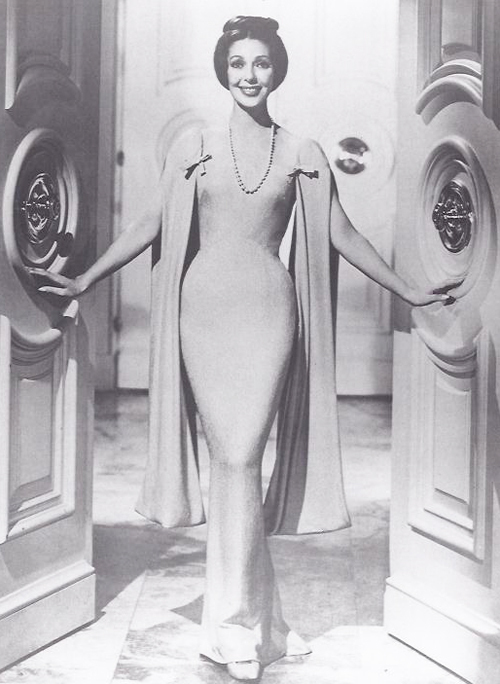 Travilla, Louis (who Loretta later married), and Daniel Werle', who dressed other glamorous stars such as Barbara Stanwyck and Gloria Swanson, were all favorite designers on her show. Style was very important to Loretta. Throughout her career, she always wore what was of the moment. 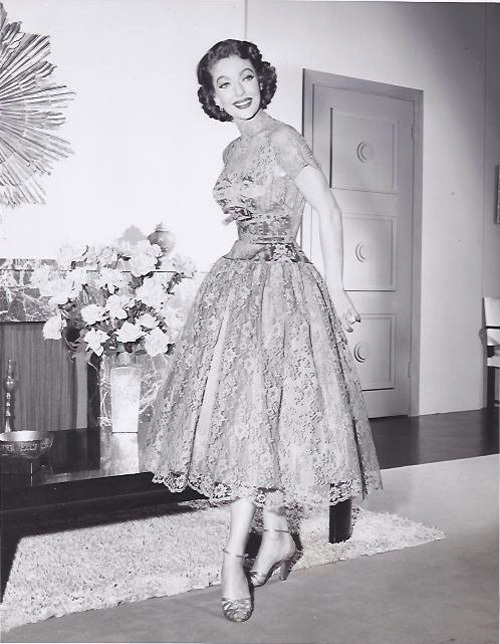 This was why she legally stipulated that reruns of The Loretta Young Show NOT include the introductory twirl; she did not want the dresses to "date" the program. Moreover, she did not want to appear as anything but current in her fashion choices. 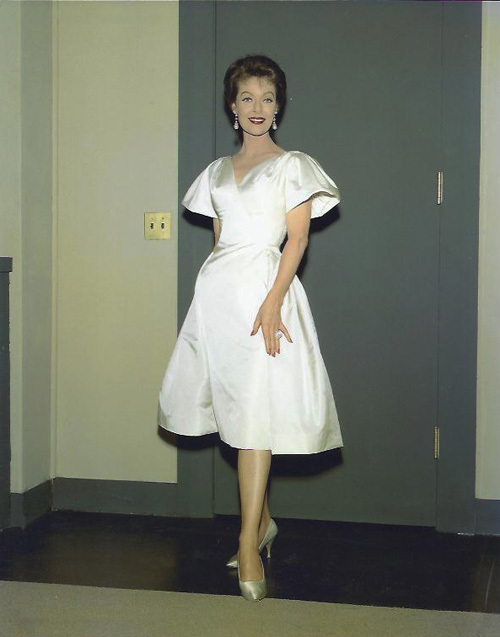 Thus, when she discovered years later that NBC was airing the introductions and "outdated gowns," she sued the network for what she considered damage to her image. And won....millions of dollars, too, in today's figures. You can read even more about the trial on Movie Star Makeover. 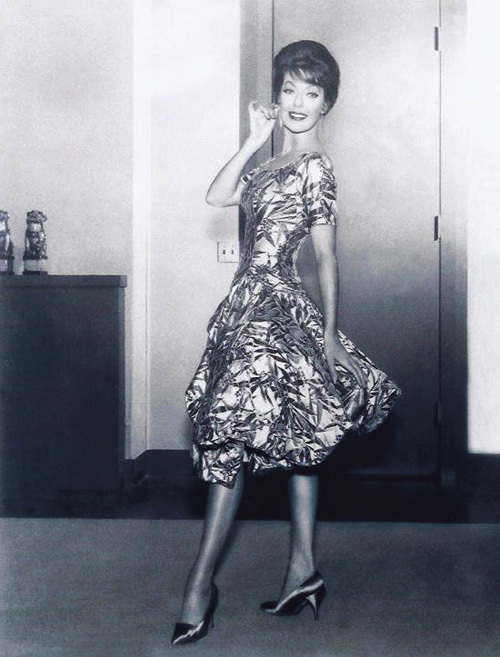 Let's just say the verdict went a long way to proving how connected style was to the established brand of Loretta Young. 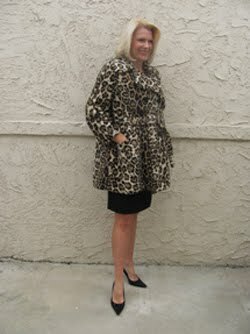 Clearly, Loretta is still known for her style and continues to influence today's best designers. 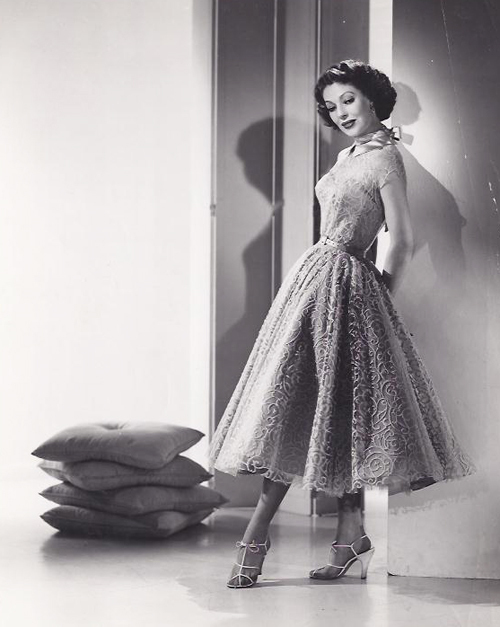 All of the silhouettes of the 1950s are on trend for summer...made evident by endless editorials in magazines like W, Harper's Bazaar, and Allure. Of course Loretta's favorite shapes are featured in many, including Vogue's 'Eternal Optimism' photo story (below). Alongside Loretta's professional and personal photographs alike, you can see just how modern her style is. How pleased Loretta must be to know that. 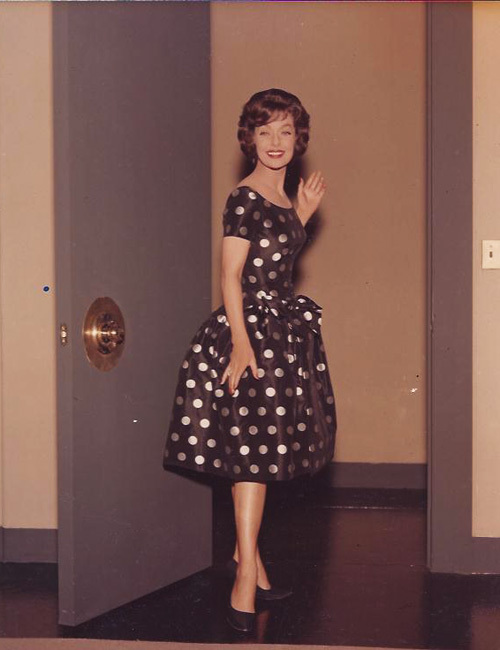 Thanks to Linda Lewis and the Salvador Iglesias Collection for use of Loretta's images (1954-1960)! 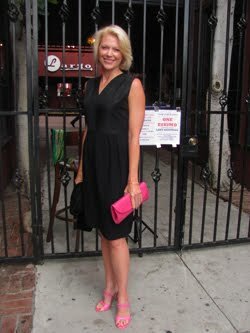 and love the cut and metal hardware of the "After Five" cocktail dress below! 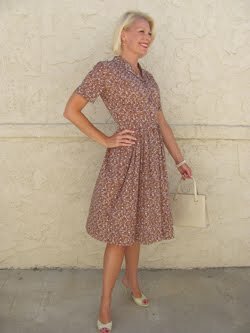 Love this article, you really brought to light how the summer trends match up to these fabulous designs of the 50's! 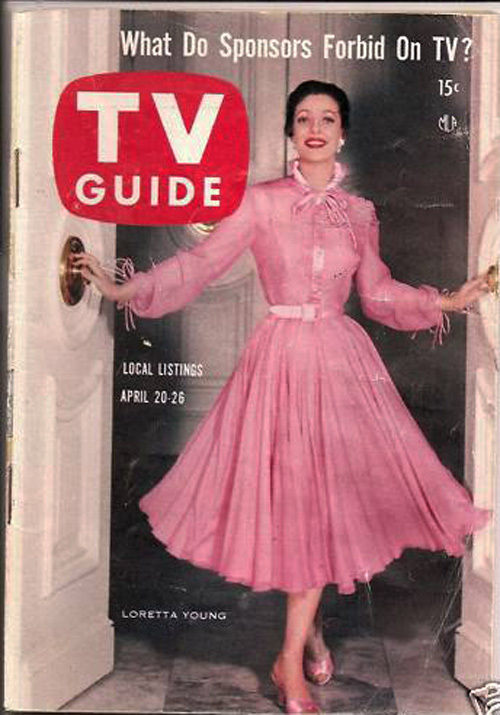 Thanks for the nod to Loretta Young's fashion savvy, a fun read! You're more than welcome, Kay! 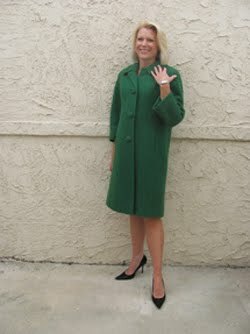 Everyone should be sure to check out your Movie Star Makeover blog to learn even more about Loretta and her lovely style. Can't wait to see what you and Linda have been planning for the Centennial! Thank you! I see so many examples of fashion designers, stylists, editors, etc. reaching back to classic cinema to inspire design today and want to give credit where it is due. And Loretta is far too often overlooked, so it's great to have an occasion to celebrate her incredible style. 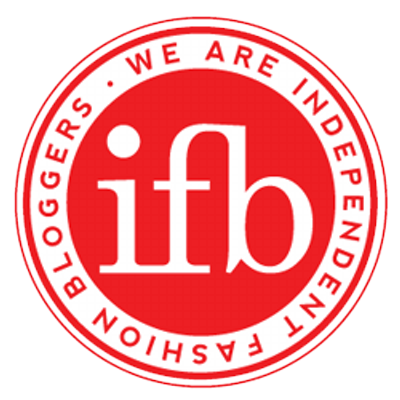 Kim, I'm a huge fan of Loretta and thoroughly enjoyed your post. What a beautiful lady and exquisite dresses! Thanks Laura! There have been a lot of people visiting this post, so it's really wonderful to see that Loretta has a very loving following. She deserves it...like you said, what exquisite dresses! Wow! Snazzy to the "nth" degree. Loretta inspires. Well said, Caftan Woman! I went to the opening party of the Loretta Young Centennial exhibition at the Hollywood Museum last night, and inspirational is definitely the right word to describe it all. What style!